Sesderma Kojicol Facial Skin Gel is designed to treat heavy blotches caused by cosmetics, pharmaceuticals, and sun exposure. The manufacturer of this product claims that it will effectively combat acne and hyperpigmentation. The following review will determine if this product can live up to these claims. The following information will help you make a more informed consumer purchase. 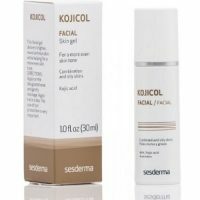 What’s in Sesderma Kojicol Facial Skin Gel? Glycolic Acid is found in this formula because of its ability to absorb rapidly into the skin. 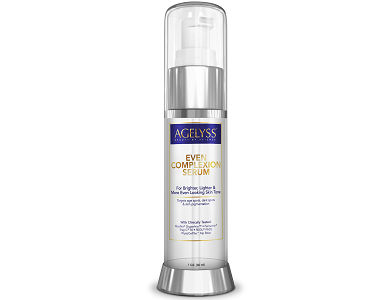 This ingredient is argued to support collagen production and, thus, reduce the appearance of wrinkles and fine lines. Kojic Acid is a primary contributor to the reduction of bacteria buildup in the skin. In doing so, it prevents pigmentation. Mulberry Extract is a natural anti-inflammatory that works to soothe and soften the skin. Phytic Acid is included because it exfoliates the skin. As a result, it promotes the production of healthy new skin cells. Arbutin evens skin tone and is responsible for lightening complexion. These ingredients are beneficial, however, there are a number of substances omitted from this formula. There are several competitor products on the market that contain many clinically proven patented ingredients because of their ability to improve the rate at which they deliver results. These competitors may need to be considered to deliver optimal results. Whatsmore, there is no clear indication that this product was produced in a cGMP certified facility. This brings the quality of the product into question. How Do You Use Sesderma Kojicol Facial Skin Gel? Users are advised to apply this product twice per day for a minimum of three months. You are instructed to evenly spread a thin amount over the affected area. While this information is sufficient, the manufacturer has not provided further information on precautions to be taken. This is concerning as the use of this product may result in allergic reactions. Whatsmore, there is no indication as to the concentrations of ingredients used. Therefore, we cannot be sure of its potency. This product retails at the manufacturer’s online store. A 30ml bottle can be purchased for $46. This is significantly more expensive than many alternatives on the market. The manufacturer does not offer any package deals or discounts to ensure that prolonged use is sustainable. Customers may, however, apply to free shipping when purchases exceed $150. There is no clear guarantee for this product. That said, additional research highlighted a return policy in fine print. The manufacturer states that items can be returned within 14 days of purchase. This is an extremely short guarantee that does not allow customers enough time to test the effectiveness of the product. This does not bode well for product efficacy. Furthermore, there are very few customer reviews for this product. In saying so, we cannot make an accurate and objective assessment of its quality. Upon reviewing this product, we noted some positive selling points. The formula contains ingredients that are argued to provide effective results. Furthermore, there is sufficient information pertaining to the product use. That said, the guarantee and customer support does not meet the market standard. The formula pales in comparison to competitors on the market. And, the limited customer reviews make it difficult to guarantee efficacy. 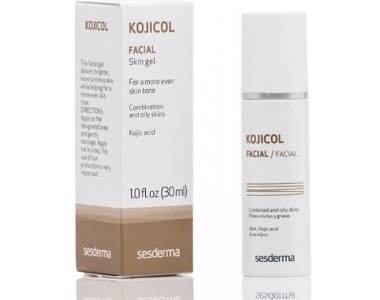 In saying so, we do not recommend Sesderma Kojicol Facial Skin Gel.